The vernal equinox marks the beginning of Spring, representing the moment when the sun passes directly over the equator. This time of year is known for its many cultural and religious celebrations. For instance, Easter Sunday in Christianity falls on the first Sunday after the first full moon following the vernal equinox. The roots of Christian Easter mythology are entwined with much older pagan celebrations of fertility, making it possible to find many commonalities between pagan and Judeo-Christian celebrations around the world as well as other global traditions that will be explored cross-culturally below. In one game two boys or men take part, each grasping an egg in his hand. One of them knocks his egg against that of his opponent, and the man whose egg is not cracked is regarded as the winner and takes the cracked egg of his adversary. In the other game several eggs are arranged in a row on the ground, and a number of men sit at a certain distance away from them. Each in turn rolls an egg toward the row of eggs facing him, and the man who first succeeds in cracking one of them wins the lot. These games are played by large numbers of people … but never by women and girls (Blackman 1927: 253). The tradition of similar “egg tapping” games is incredibly widespread. It has been found in the Balkans and Eastern Europe, Greece, parts of Germany, Northeast England and among Louisiana Creoles. 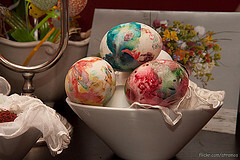 Decorating and painting eggs has a similar global reach and hardboiled eggs play a prominent role in the Passover Seder ritual. When they have finished reciting, the woman of the household gives them eggs. When they have gone around the entire village, they divide the eggs among themselves (Filipovic 1982: 240). 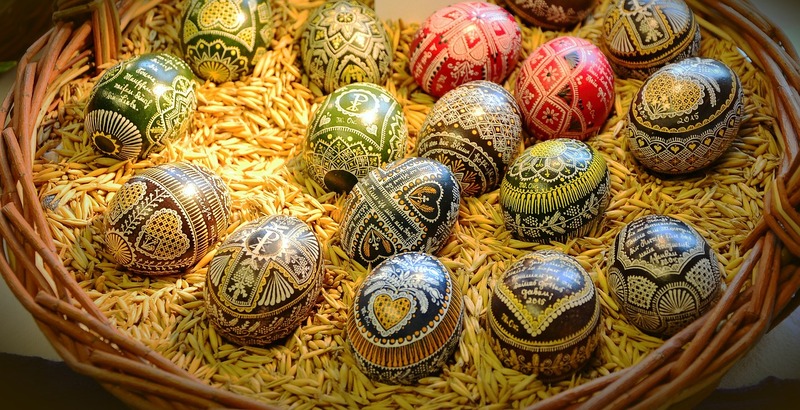 Archaeological evidence suggests that people have been decorating eggs since long before “Easter” and it is clear that the egg remains fairly common around the world used as a symbol of the start of new life. 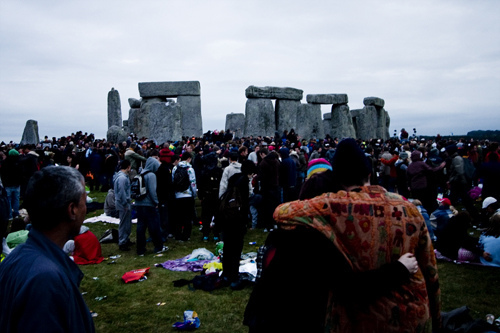 However, not all vernal equinox celebrations are alike across the world. Some peoples reflect on the passing of their ancestors while others mark this event as the start of their new calendar year. 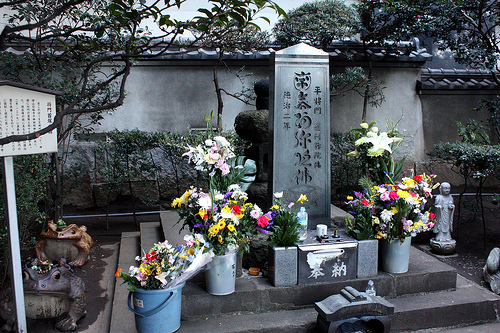 The day is frequently referred to as Mizu-nagashi-no-hi (Water-pouring day) because the ceremony called Mizu-matsuri (Water mass), the pouring of water on headstones or graves, or into flower vases at graves (as is also done at funerals and memorial services), is performed. Many young daughters who have married and moved away … return at this time to pay their respects to their ancestors at the graveyard and to visit their relatives, and this is a day on which millet cakes, called higan-dango, are eaten, after being offered before the ancestral tablets. O-higan is for many persons a day of work, interrupted for at least one household representative by a visit to the grave (Norbeck 1954: 147). Therefore, while the vernal equinox is oftentimes seen as a celebration of new life, for some it is also a time to remember those who have passed. The foundations of the ritual, which commemorated new growth and fire, were laid by ancient Indo-Iranian worship. Sacrificial offerings and libations celebrated the most fundamental of living forces. In ancient Indo-Iranian ritual, the sacred soma, the milky sap of a plant, was paired with offerings of fire … The spirit of high noon and warmth, the personification of fire and the helpmate of fire, emerged during the vernal equinox (spring solstice) to be celebrated … The symbolism of fire (light and numinousity) and water (purity and cleansing) later gained abstract connotations and, in the dualistic religion of Zoroastrianism, were held in opposition to darkness (Eitzen 1999: 77-78). the night preceding the last Wednesday of the year is observed as a special feast … It is the custom on this night to have ready a small new earthen water pot and to put into it a piece of black money, a piece of charcoal, some seeds of the wild rue and a piece of rock salt; and at sunset to carry it to the top of the wall, or onto the roof which overlooks the street, and to throw it down below. With it goes all grief and misfortune which the coming year might bring. Some fill the pot with water and then throw it out, so that any evil that might be destined to come during the new year will disappear just as the water gradually soaks into the ground (Donaldson 1938: 120). Water and fire, death and life, light and dark, are all recurring symbols across human cultures in equinox celebrations, rituals and mythologies. The above are just some of the different traditions linked to the vernal equinox, which also include the iconic marching of Pagans and Druids to Stonehenge in Wiltshire, England to watch the sun rise over the stones and similar gatherings at Teotihuacán in Mexico at the foot of the Pyramid of the Sun. A lesser-known and considerably less ancient equinox practice originated in the 1970s in a neighborhood in Annapolis, Maryland, where yacht club members shed and burn their socks in celebration of springtime. From the fantastic to the frivolous, however you mark the seasonal transition, here in New England we can all agree that the warmer weather will definitely be welcome this year. The cross-cultural examples in this post were found in eHRAF World Cultures (Learn more). Ready to dig deeper? Learn to customize your search terms and strategies with an Advanced Search that lets you combine culture names, subject codes, keywords and phrases. Remember, only member institutions can search eHRAF’s full-text, expertly indexed ethnographic databases. If your university or school is not on this list, click here to learn about setting up a free trial. Blackman, Winifred S. (Winifred Susan). 1927. “FellāHīN Of Upper Egypt: Their Social And Industrial Life Today With Special Reference To Survivals From Ancient Times.” London: George G. Harrap & Company Ltd. http://ehrafworldcultures.yale.edu/document?id=mr13-002. Donaldson, Bess Allen. 1938. “Wild Rue: A Study Of Muhammadan Magic And Folklore In Iran.” London: Luzac & Co. http://ehrafworldcultures.yale.edu/document?id=ma01-013. Eitzen, Hilda C. 1999. “Nawrïz In Kazakstan: Scenarios For Managing Diversity.” Contemporary Kazaks : Cultural And Social Perspectives, Edited By Ingvar Svanberg. New York: St. Martin’s Press. http://ehrafworldcultures.yale.edu/document?id=rq02-016. Filipovic, Milenko S. 1982. “Among The People, Native Yugoslav Ethnography: Selected Writing Of Milenko S. Filipovic.” Papers In Slavic Philology. Ann Arbor, Mich.: Michigan Slavic Publications, Dept. of Slavic Languages and Literatures. http://ehrafworldcultures.yale.edu/document?id=ef06-024. Landis, E. B., and Yi Youl Kok. 1896. “Mourning And Burial Rites Of Korea.” Journal Of The Anthropological Institute Of Great Britian And Ireland 25. London: 340–61. http://ehrafworldcultures.yale.edu/document?id=aa01-012. Lebra, William P. 1966. “Okinawan Religion: Belief, Ritual, And Social Structure.” [Honolulu]: University of Hawaii Press. http://ehrafworldcultures.yale.edu/document?id=ac07-013. Norbeck, Edward. 1954. “Takashima: A Japanese Fishing Community.” Salt Lake City, Utah: University of Utah Press. http://ehrafworldcultures.yale.edu/document?id=ab43-024.